Rebuild and transform your body in just 8 weeks using a resistance band, dynamic bodyweight, stretching and mobility exercises and cardio HIIT style training. Designed by Jen Dugard, Fitness Specialist for Moms, creator of Body Beyond Baby, author of How to Love your Body as much as your Baby and creator of accredited training program Safe Return to Exercise, Glow will get you lean, fit, strong and feeling better than ever before. Whether you are six weeks, six months or six years’ post baby and regardless of your fitness level, Glow gives you a variety of modifications to tailor your daily workouts to suit you. Whatever stage you’re at, you will access challenging workouts that will transform you from the inside out. NOW YOU CAN STREAM YOUR WORKOUTS FROM HOME. NO MORE GYMS, STUDIOS, NANNIES OR EXCUSES! 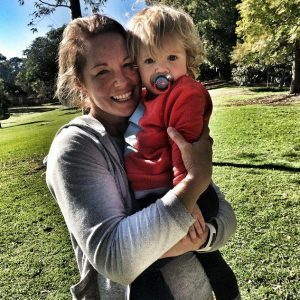 Jen Dugard is a Fitness Specialist for Moms, founder of Body Beyond Baby and Tough Moms, author of the acclaimed book How to Love your Body as much as your Baby and postnatal DVD Rebuild from the Inside Out. 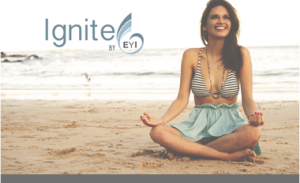 She is also creator of the accredited training program Safe Return to Exercise. Having achieved her best body after the birth of her two children, she is challenging all moms to think big and go after their ultimate picture of health. 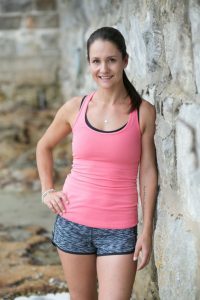 Jen also pursues her physical fitness passion, as an elite obstacle racer, choosing to lead by example. "I first started training with Jen when my first baby was 3 months old. 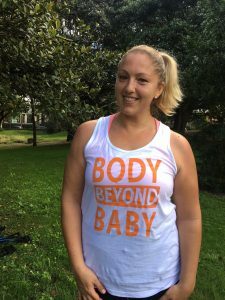 I was instantly impressed with her attitude towards postnatal recovery and working within your limits, I soon realised that no matter where you were in your post natal journey, whether it be 3 months or 3 years Jen made each and every person in her session feel relevant and pushed to their person limit. 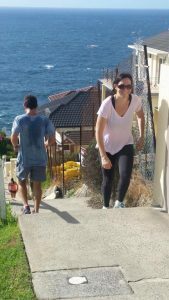 I continued training with Jen through my second pregnancy up to 36 weeks and through this time she continued to adapt exercises to keep me and the bump safe but at the same time I still left each session with a sense of accomplishment. 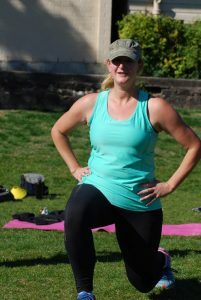 "I trained with Jen for a year and a half after my second child was born. 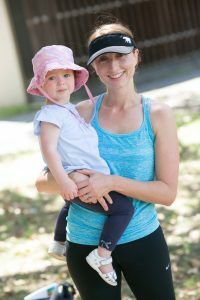 Jen’s extensive knowledge of ‘safe exercise after birth’ and her unwavering commitment to her clients is what sets her apart from other trainers. Jen understands the world of new mums and provides a motivating and encouraging environment at every session. Post Natal Training Methods and Education Systems. 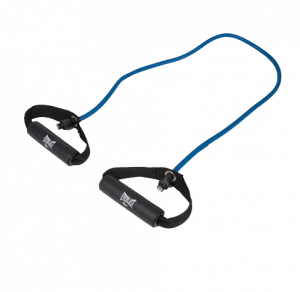 Completely transform yourself in the comfort of your own home using only a resistance band and your own bodyweight. No more nannies or babysitters. No more expensive gyms, studios or hunting down training facilities with a crèche. No more personal trainers. Using a mixture of rebuilding education and exercises, dynamic muscular programming, calorie crunching HIIT sessions and some unique active recovery stretch sessions, Glow is guaranteed to get your results, or your money back! Renowned Fitness Specialist for Moms, Jen Dugard, will take you through your daily workouts in the privacy of your own home. *Resistance Band not included. Pick up a band in any good sport store or available to buy in the VARLAH shop after purchase. GLOW by VARLAH with our education and training videos that will teach you how to activate your pelvicfloor and transversus abdominis to improve your workouts. Rebuild your body from the inside out. The perfect core requires the perfect workout, so we give it to you. Take charge of your body and build strength and confidence with our core and posture focused workout. This workout will teach you to activate and work your total core control. Get leaner and stronger with these upper and lower body focused workouts. You don’t sweat, you glow, and with a tabata-style workout, you will find your inner warrior which have you glowing all session and work you hard to get some amazing results. Combining cardio with both resistance and conditioning, this workout will have you double your results in record time. Work through some challenging yet achievable exercise patterns that will make you fitter and stronger and have you glowing from the inside out! Starting with your core and lower body, we work our way up to give you a complete body overhaul! For amazing results, you have to work harder than you thought possible, are you ready to go the extra mile? Back to back exercises are done with some conditioning training at the end of each block to give you the power to push on with your day! Take this challenging workout if you’re looking to be the best version of you both inside and out. “The GLOW by VARLAH program has been created from almost a decade of experience working both one on one and with groups of pregnant and postnatal women. 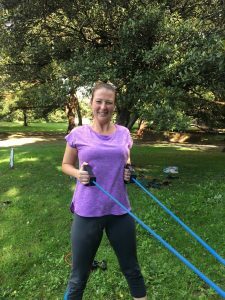 These nutrition and training systems have been tried, tested and evolved to bring the very best of my face to face sessions, straight to you in the comfort of your own home or local park. 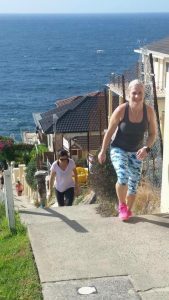 Through following my program and taking the time to re-build from the inside out many of the women I work with end up stronger, fitter and feeling more fabulous than they have ever been and I know that you can do exactly the same.